An interior detail includes a hand wash including degreasing all door jams. The interior is vigorously blown and vacuumed, then all carpet and upholstery are shampooed. Tougher stains may be pre-treated then carefully scrubbed and extracted. The dash, center console, door panels and all other trim is detailed and dressed to keep it looking its best. The headliner will be spot cleaned where needed. Any leather will be cleaned carefully and treated for longevity. Finally, all glass inside and out is cleaned for your safety and acceptance. 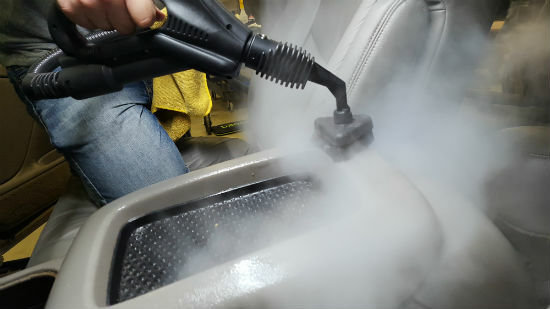 We then look forward to your reaction to your newly detailed vehicle.